Click here to visit the offical Katherine Outback Experience Website, learn more and buy tickets! Winner of the 2018 Brolga Tourism NT Awards for Best Tourist Attraction and Best Visitor Experience in the Northern Territory. 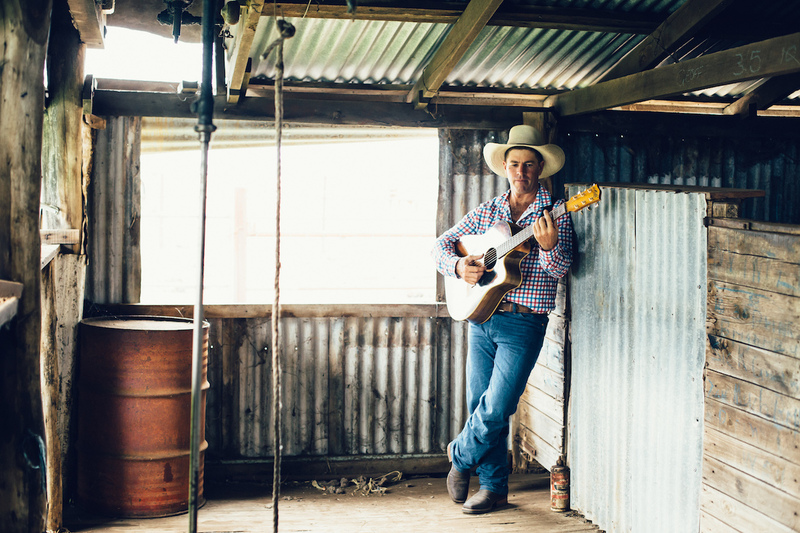 Tom Curtain's 'Katherine Outback Experience' is an outback show that provides a unique window into the inner workings of life on a cattle station through real horse-starting and working dog demonstrations, live music and story telling. This is not your standard 'show' or 'tour' - rather it is an experience. It is raw and real, the same as if an audience was not present. This outdoor hands-on experience is located on an operating farm, just 6km south of Katherine. From the comfort of shaded elevated seating, guests watch and learn as the young horses and working dogs are trained for life on the land. No horse is used more than three times in a show and no show is the same. The team explain the psychology behind the process, highlighting what can be achieved from a relationship built on trust. Guests are invited to pat and feed the station animals including Bernie the Buffalo, Cecil the Mule and Tin Shaker the Brahman Steer. The show wouldn't be completed without colourful stories from the team's experiences of living and working on the land, together with some of Tom's original award winning songs. Please contact us for group bookings and packages. All shows are subject to meeting a minimum number of bookings. Should minimum numbers not be achieved, you will be contacted and offered to change the date or a full refund. Please contact us on 0428 301 580 or by email about alternative times - you never know your luck! We operate from April to the End of October at our venue in Katherine. We do however have the added bonus of being able to take our show on the road performing at alternative venues. Our venue is available to hire for corporate functions, weddings and private events. We will provide an experience like no other, that will enhance and enrich your next event, while delivering successful business outcomes and unforgettable moments. Whether it is rewarding high-achievers, team-building or event entertainment, we will deliver a once-in-a-lifetime authentic experience that will continue to inspire your guests. There is no better way to experience the real Australian outback than with Katherine Outback Experience. Ask us about innovative options for your next event!